Foundation To Roof, a licensed construction company has been in business since 1984. Hello, My name is Rafael Hayon. I am the founder and owner of Foundation to Roof. My team and I take pride in our trade and cherish the trust our clients have given us by letting us build, remodel and restore their homes. We have worked on projects of various sizes in the Los Angles, San Fernando, Orange and Venture areas from painting a room to building a 7,000+ square feet custom homes from foundation to roof. Foundation To Roof is offering the highest quality in craftsmanship and the highest levels of integrity. Our goal for the past 27 years has been to ensure the complete satisfaction of each and every client by offering friendly service at competitive prices. You are certain to be more than satisfied with our performance and we will meet your expectations, GUARANTEED! As a courtesy to our community we offer a FREE professional consultation service by-phone or electronic mail to those who embark in a construction project of any kind. For South Gate residential home builders who also act as developers, the job starts well before the first nail is driven. They perform local market research to determine whether the prospective homesites make sense in the South Gate, CA market, as well as survey the land on which the house will be built to make sure it is suitable for construction. Custom builders also obtain the necessary permits. 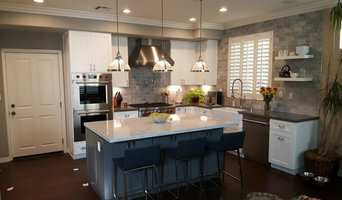 A good custom home builder in South Gate, CA has skills that go far beyond construction — he or she must supervise subcontractors and artisans; keep tabs on local zoning regulations, building codes and other legalities; inspect work for problems along the way; and perform dozens of other roles that are essential in building a quality house. Here are some related professionals and vendors to complement the work of home builders: Interior Designers & Decorators, Landscape Architects & Landscape Designers, Architects & Building Designers, Kitchen & Bath Designers, Specialty Contractors. House builders are responsible for ensuring that the home-building project sticks as closely as possible to the specified timetable, particularly in the event of change orders. 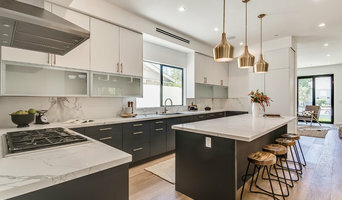 Custom and luxury home builders in South Gate, CA also need interpersonal skills to deal with clients of all types, soothe frazzled nerves, negotiate conflicts and resolve problems. 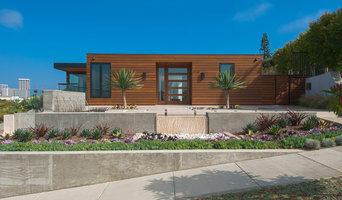 Find custom home builders in South Gate, CA on Houzz. Narrow your search in the Professionals section of the website to South Gate, CA home builders. You can also look through South Gate, CA photos to find a house you like, then contact the builder who worked on it.